A game that resembled football was developed in England in the 12th century. It was played on meadows and roads in England. The game was a very rough game and involved kicking and punching the ball with the fist. This was one of the reasons why it was forbidden for several centuries. The world’s oldest football clubs were founded in England in 1789. In 1871, the FA Cup was founded. The first international match took place in November 1872 when England travelled to Glasgow to play Scotland. 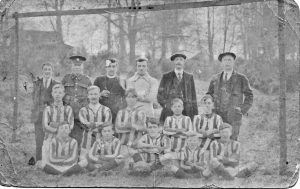 Many churches started football clubs in the late 1800s, including Everton, Manchester City, Southampton and Celtic in Scotland. 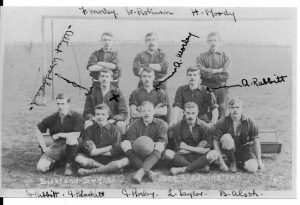 One of Edwinstowe’s first official football matches was recorded in the Mansfield Reporter, 3rd November 1893, when they played Tuxford and won. It was part of Edwinstowe’s Feast Week. Front row: W Cowlishaw, F. Smith, C. Hughes, T. Cowlishaw, F. Freeman, J. Lovegrove, J Briggs. 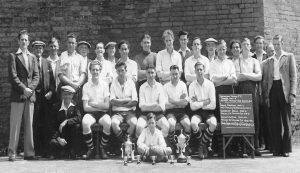 Thoresby Colliery Football Club was formed in the 1930s and in the early years was played on farmer Herbert’s field, before moving to the new sports ground on Fourth Avenue provided by the Bolsover Colliery Company. 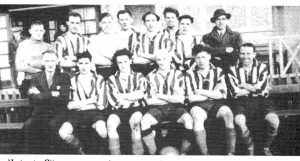 Back Row: Stocker, D. Cuthbert, N. Briggs, B. Belfield, B. Levant, B. Wright, K. Middleton, F. Dean, Front row: Bill Smith, Fred Melling, Ken Smith, H. Hall, R. Bostock, G. Barton. 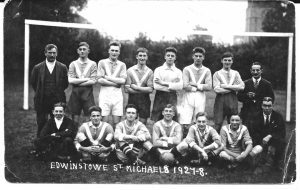 The football team was selected by Bill Smith to play a challenge match versus Edwinstowe United, on the Thoresby Ground Christmas morning. This tradition, Thoresby Colliery V Edwinstowe United continued for many years. 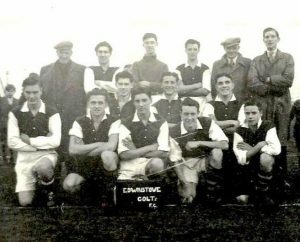 Edwinstowe United F.C was formed in 1946/47 and played in the Worksop & District Amateur League. 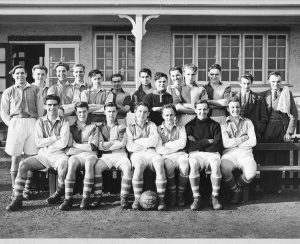 They were League Champions in 1946/47, semi finalists in the Challenge Cup – 46/47 Runner-up in the League 1948/49 – Finalist in the Challenge Cup – 48/49 League Champions – 1949/50 – Winners of the Challenge Cup 1949/50 The team played on Farmer Herbert’s Field now the Birklands Estate. 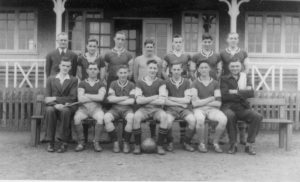 The village already had a Team of Senior young men Called Edwinstowe United who played on farmer Herbert’s Field, at the rear of the Old Vicarage, on Mansfield Road. 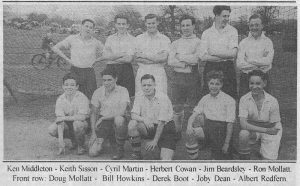 Eric Wardle and Reg Burridge formed a team of younger village lads. 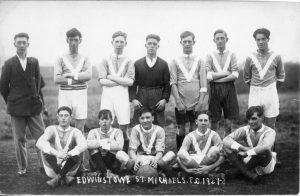 The Edwinstowe Colts F.C, originally played on a pitch adjacent to the Cricket ground on the edge of the forest. Eric would mark out the pitch with sawdust from Bob Woodhead’s workshop. 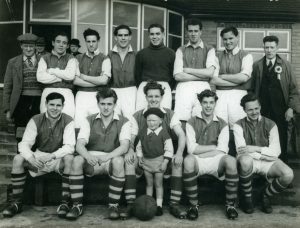 Shirts and socks were obtained through a scheme run by the local Co-op called “The Twenty Week Club) and were a copy of the Arsenal kit at the time. 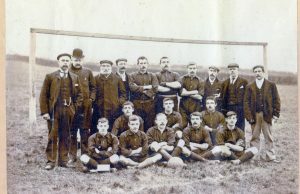 Everything improved dramatically for the club when Sam Thorneycroft became Manager of Thoresby Colliery, At that time the Colliery had no football team and Mr. Thorneycroft decided to offer all the Colliery facilities to the club team if the name were to be changed to Thoresby Colliery F.C the Colts accepted this. On September 20th 1958, Rolls Royce Engineer, William E. Howkins (Bill) was killed along with three other crew members on a test flight of the first proto type Avro Vulcan strategic bomber. The test flight from the Rolls Royce Flight Test Establishment RAF Hucknall diverted to make a schedule fly-past for an air show being held at RAF Syerstone. 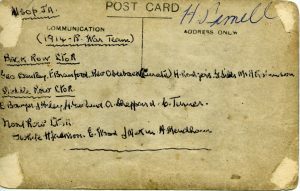 Mike Gratton recalls playing alongside Ron on a ground beside the Cricket Ground on the Forest Corner which was levelled and prepared by Italian prisoners of war. Such was the interest in the village at the time as many as two hundred spectators would turn up to watch. 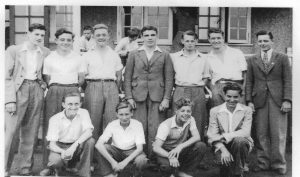 Ron & Mike attended the Council School from 1938 to 1947, a period that embraced the war years. They and others played on the school field until long after twilight, there being no T.V to lure them along from the game which was an important part of their lives. They kept in good condition by wheeling miner’s domestic coal from the roadside to the coalhouse for a half-crown tip. 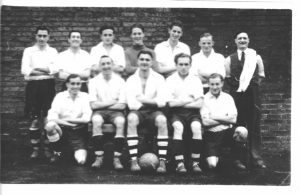 Ron and Mike played for the Dukeries X1 (the area representative team) Ron became a painter and Mike worked at Thoresby Colliery. There being no youth team in Edwinstowe at the time they played for Woodhouse Amateurs. Later, while playing for Bilsthorpe Boys, Ron was spotted by a Leeds United scout. Ron eventually signed professional forms in 1950 aged only 18, and he became friendly with the Legendary John Charles, captain of Leeds and Wales, and Ron was best man at his wedding. Ron played for the England Youth X1 and was captain in one game at White Hart Lane. 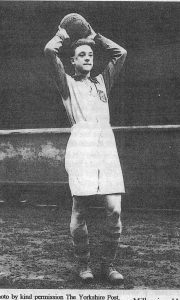 His career was interrupted by National Service, when he returned, he joined York City. After three years with Bradford City, he returned to painting and decorating. He still played non-league football and later, he became player manager with Bridlington, Trinity. He was honoured by being elected as Chairman of Leeds United Ex-players Association. One of his proudest memories while playing with Leeds was playing against the illustrious Stanley Mathews. 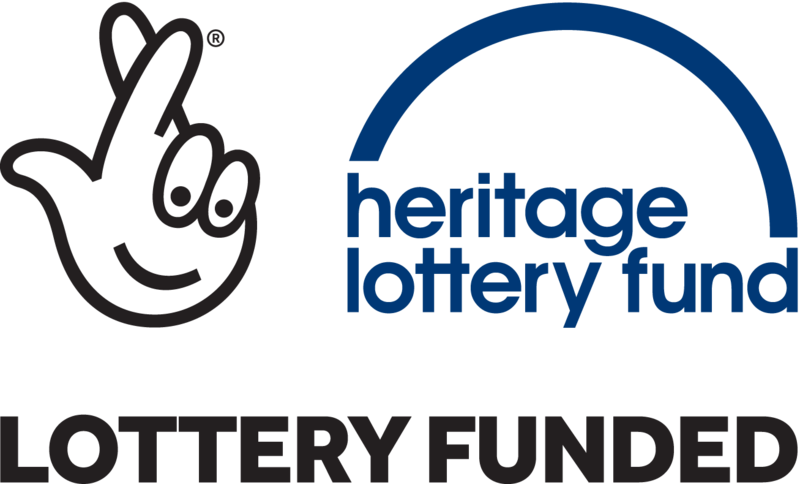 Joby Dean, of Henton Road, was a professional footballer. Football seems to have been in his blood, for his dad, Job, after whom Joby was named, was a fair player in his youth. Also, Joby’s older brother, Frank, was an accomplished centre forward. 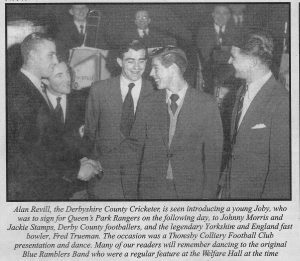 After representing Edwinstowe School and the Dukeries School XI, Joby, at the age of 14, was a member of the successful Clipstone Youth team, all under 16, who won the Notts. F.A. Junior Shield. 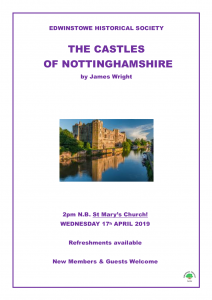 He then played for Thoresby Colliery in the Mansfield League and, later, in the Worksop League. Joby, at 18, impressed a Queen’s Park Rangers scout and was invited for a trial. 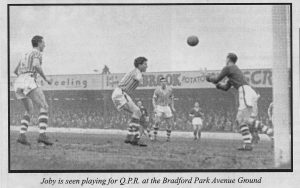 He played a nostalgic game for Thoresby Colliery and was invited, by a watching Sheffield Wednesday scout, to go to Hillsborough, but he was loyal to Q.P.R. He became a member of their first team squad, then playing in the Third Division South. He was called up for National Service, upon his demob, Joby carried on playing with Q.P.R. for a total of six seasons. In a knockout competition, Q.P.R. beat Arsenal and Joby scored the winning goal. Charlie Mitten, manager of Mansfield Town, tried to persuade Joby to come to Field Mill. However, Bradford offered Joby a more lucrative contract. 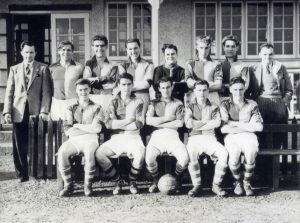 He stayed with Bradford for four-and-a-half years In 1966, the Bradford manager insisted that all his playing staff should live in Bradford and, in his family’s interests, Joby decided to remain in the area where he had been brought up and, although he received an offer from Doncaster Rovers, he left the professional scene and joined Sutton Town, in the Midland League.